In IPA’s world the very mention of the word “project” conjures up images of offshore platforms, refineries, chemical plants with long runs of pipe, heavy equipment, and hard hats. There is great complexity involved in developing and evaluating these projects. Project Inspire, sponsored by the Singapore Committee for UN Women, is not a typical IPA project, but it is certainly no less complex. 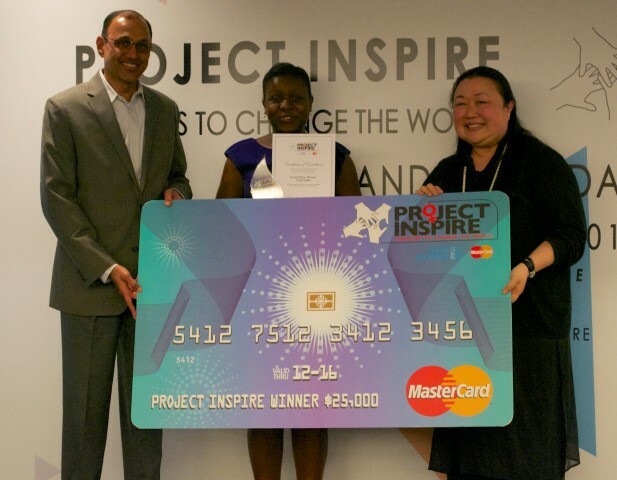 Project Inspire was launched in 2011 and is co-organized by the Singapore Committee of UN Women and MasterCard. It is a social entrepreneurship competition offering entrepreneurs aged 18 to 35 a platform to pitch an idea for a project that can enable and empower women economically throughout Asia, the Pacific, the Middle East, and Africa. Simply put, participants get the opportunity to present their social ventures for a chance to win grants totaling US$35,000 to implement them. IPA ‘s Singapore office became an active participant in UN Women’s Project Inspire initiative in 2015. IPA had a role in reviewing more than 400 Project Inspire 2015 entries and helping UN Women select the semi-finalists. IPA’s knowledge of the pillars of successful projects guided the evaluation. Although social ventures are different from capital projects, they share common basic planning elements and drivers of success. IPA drew from elements from its capital Project Evaluation System (PES®) and applied them when evaluating Project Inspire submissions. For example, we assessed (among others) the clarity of project objectives, team formation, and the extent of implementation planning. This helped IPA identify social venture projects that show great promise in addressing women’s empowerment challenges. Our understanding of what drives successful projects, combined with UN Women’s deep understanding of women’s empowerment issues, enhanced the selection process. It helped identify social venture projects with strong potential for advancing the committee’s mission. We saw many fantastic ideas and were overwhelmed by the thoughtfulness and dedication of individuals to improving women’s livelihoods. The semi-finalists, in particular, not only had great ideas but also provided strong execution plans demonstrating their ability to turn their ideas into successful ventures. In addition, Dare Women’s Foundation in Tanzania received the People’s Choice Award for their Tanzanian Women: A Source of their Own Empowerment Project. They raised the greatest amount of funds (over US$5,000) during the crowdfunding campaign initiated from the semi-final stage. IPA supports the mission of the Singapore Committee of UN Women to improve the livelihood of girls and women. Project Inspire 2015 was an opportunity for IPA to work closely with UN Women and have an active role in promoting and contributing to its cause. Our recent collaboration with Project Inspire 2015 was a great start to this new partnership. The IPA Singapore office looks forward to contributing to this and other future community outreach initiatives.